Loop 101 Eastbound to Close This Weekend, I-17 to 7th St.
Construction starts Friday night, Feb. 8 on a $185 million project to add new lanes in each direction of Loop 101 between the I-17 interchange and Pima Road in Scottsdale. 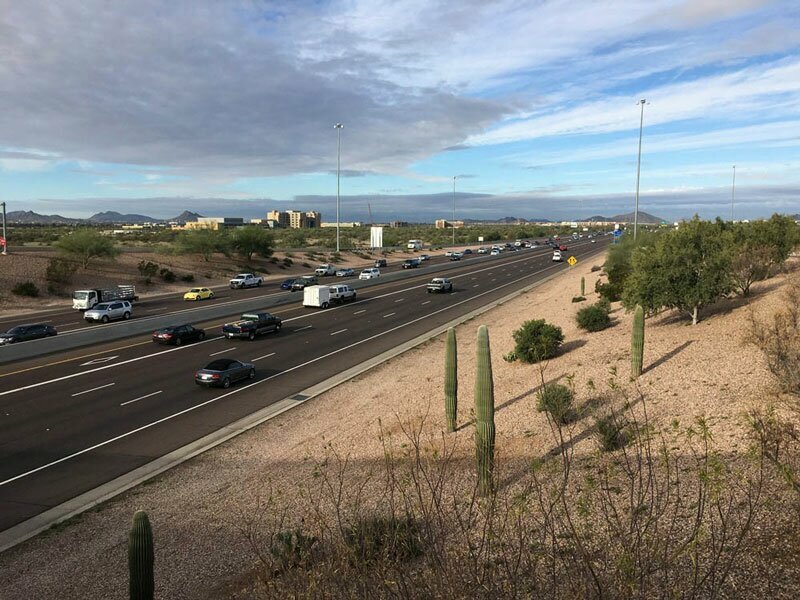 To kick things off, all eastbound lanes will be closed between I-17 and 7th Street from 10 p.m. Friday to 5 a.m. Monday (Feb. 11) “for placement of temporary barriers and lane-stripe adjustments,” ADOT announced today. Also, both I-17 ramps to eastbound Loop 101 will closed, and the eastbound Loop 101 on-ramp at 27th Avenue will also be closed. 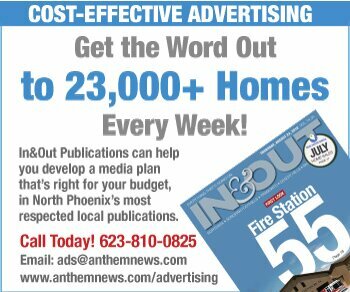 Detour suggestions from ADOT: Eastbound Loop 101 traffic will exit at 27th Avenue and detour along Beardsley frontage road before re-entering Loop 101 at Seventh Street. To limit delays, drivers should consider other alternate routes, including eastbound Bell Road, Union Hills Drive or Deer Valley Road. 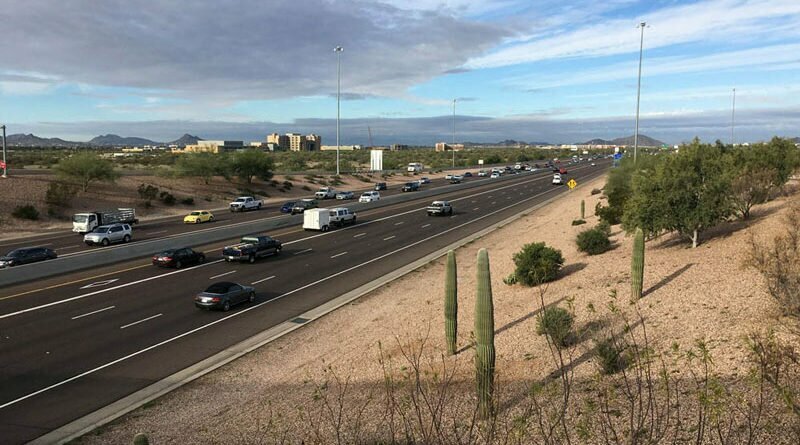 The project, expected to be completed in early 2021, will address bottlenecks along the Loop 101 at I-17, Cave Creek Road, State Route 51, and Tatum Boulevard, officials say. The project also will include installation of quieter rubberized asphalt overlay, drainage improvements, unspecified technological upgrades, and other improvements.